After being unveiled as a cheap electric car for the masses, Tesla Model 3 has taken the market by storm. With over 400,000 reservations it is one of the highly anticipated cars in the history of the world, and it is now being delivered to their respective owners. And guess what? Reviews are highly positive, and owners are extremely pleased with their car. 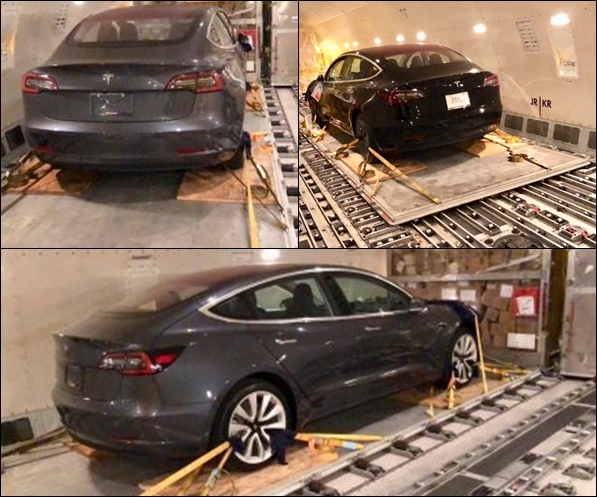 With that said, two Tesla Model 3 vehicles were spotted in air freight inbound for Germany – presumably to be reverse-engineered. Now before you think its crazy to make such a claim but keep in mind, this is not the first time this will happen. Last year, Mercedes benchmarked and dismantled a Tesla Model X in the weirdest way ahead of launching its own electric SUV. Also a year earlier, Audi bought its very own Model X and did a couple of experiments on it. It was before the car was available in Europe. This actually tells us how German manufacturers are interested in understanding Tesla vehicles as both the Model S and Tesla Model 3 have gained a significant marketplace in the segments they are the kings of. This, in a way, is threatening to the growth of German car. 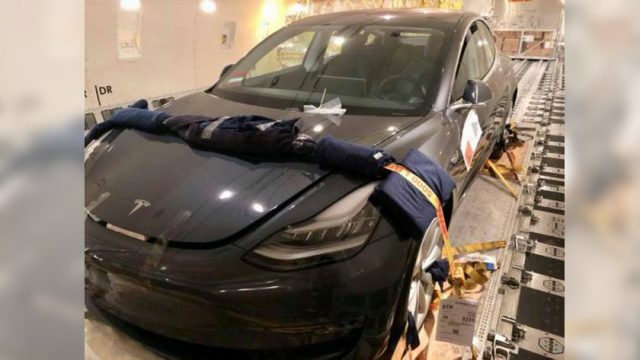 The following pictures of two Model 3’s were shared on Twitter and are claimed to be going to Germany. Thomas Walther shared the images with the hashtag “Leipzig”, and in case you don’t know Leipzig is a hub for BMW in Germany. Along with that, there’s also a DHL sticker referencing Stuttgart, which you might have already guessed the home to Mercedes-Benz and Porsche. Now the reason why BMW, Mercedes and Audi will import these cars is to reverse engineer them and understand how they are different. After having a scientific inspection, they will be able to better understand these cars and make their own versions of it by applying the knowledge they have about making cars. What is amazing about all this is the fact that Tesla is in its infant stages when it comes to the German manufacturers yet its cars have forced them to rethink about their whole strategy and start all over again with a fresh paper. As of now BMW is planning to launch a Tesla Model 3 competitor in 2021 whereas Mercedes and Porsche haven’t got any plans to compete with the Model 3 directly. However, Mercedes is gearing up to launch a whole fleet of electric cars with the EQ branding somewhere in future while Porsche is all set to launch the Mission E as a direct rival to the Model S.
What do you think? Will be the German manufacturers able to produce better electric cars than that of Tesla? 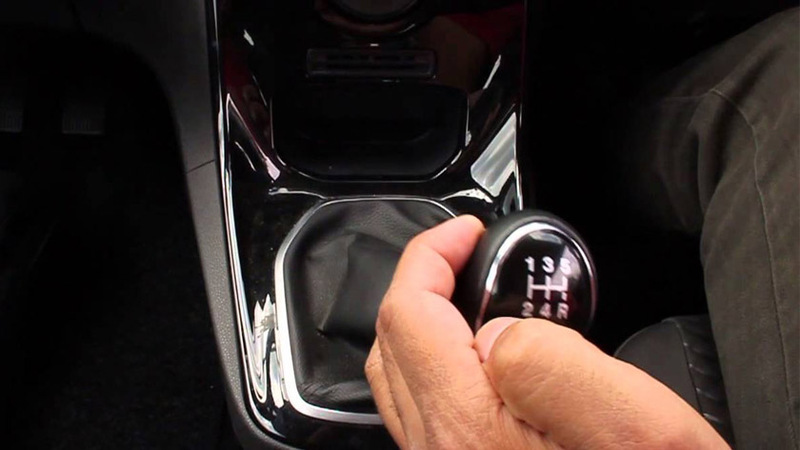 Ever wondered why your car makes that whine when you reverse it? Here is why!